Can I Pawn A “Fashion” Watch? Most pawn shops only offer “Fine Watch Loans”, but B & B Pawn and Gold is different offering pawn loans on all types of watches including lower priced but still desirable fashion watches like Bulova, Burberry, Citizen, Coach, Diesel, Fossil, G-Shock, Gucci, Guess, Invicta, Kate Spade New York, Michael Kors, Movado, Nixon, and Seiko. All of these watches can be pawned for fast cash in mere minutes in Mesa, Chandler, Tempe, or Gilbert. Pawn Loans On ALL Watches! When most people think of pawning a watch, they think of a Rolex, and don’t think they can pawn a fashion watch. Rolex’s are very expensive, we know the value of a Rolex, and they are very easy to sell. But, other pawnbrokers often overlook extending pawn loans on less expensive, but still desirable watch brands that we refer to as a fashion watch such as Bulova, Citizen, Diesel, Fossil, and Michael Kors. Also, they fail to consider that these brands have both less expensive and more expensive models – some which are easier to sell than others and as such command a higher price. 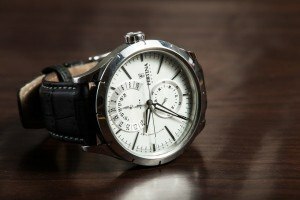 As manufacturing techniques have improved, these less expensive brands seem to be gaining share and popularity because the quality of their product has improved relative to the fine watch makers. Pawn all Fashion Watches for fast cash! Most fashion watches such as a Diesel or a Michael Kors are given as a gift. That said, the prices tend to be higher when they are boxed, and are in new or like new condition. You have similar issues with a Rolex where that Rolex might be worth $3,600 for the watch, $3,750 for the watch with a box, and then $3,850 for a watch with the box and then receipt showing where it was originally purchased. The receipt having value because it proves that the watch is real and not a fake. But with a fashion watch, the percentage difference in price is even larger for condition, and the box, but less so for the receipt as the number of counterfeit Michael Kors $60 watches is much lower – the receipt might add a few dollars, but not a lot. A fashion watch might be $200 retail, be $100 used with box in excellent condition, and $65 used without the box. We would then make a pawn loan for some percentage of the used value of the watch. The box and receipt are important when obtaining a loan on your watch. As with any pawn loan, items which are easier to sell and which cost more, command a higher loan value. A $1000 gold coin would easily work for a $800 loan, but on a $1000 watch, we might only loan $659 because it’s more difficult to sell and there is risk of it needing repairs. On a $100 fashion watch in mint condition, we might loan $50. But then as values decline, the loan to value also declines. On a Swatch worth $10, we probably would not able to loan on it individually because the cost for us to ship and remarket it would be too high. If you have ten $10 Swatches, we probably would have interest, but more in the $30 range. So, when you are thinking about how much you can borrow, you need to look at some percentage of the value of your item, with us primarily focused on making loans on watches with a used value of $50 or higher. If you are looking to pawn, sell or obtain a loan on a watch such as Bulova, Burberry, Citizen, Coach, Diesel, Fossil, G-Shock, Gucci, Guess, Invicta, Kate Spade New York, Michael Kors, Movado, Nixon, Seiko, or Tag Heuer, B & B Pawn & Gold in Mesa, AZ is Mesa’s #1 Pawn Shop for Fashion Watch Loans. Serving Mesa, East Mesa, Queen Creek, Tempe, Chandler, and Gilbert as well as the Greater Phoenix Area, we buy, sell, and loan on these watches.